As a result of concentration of techniques and experience, GONVVAMA benefits from both Gonvarri and VAMA. GONVVAMA is a joint-venture between VAMA and Gonvarri with 50% to 50% share partition. As a result of concentration of expertise, GONVVAMA is benefiting of the experience of its shareholders such as not only Gonvarri, but also ArcelorMittal & VALIN through VAMA. Gonvarri is a worldwide leader for advance processing with a top of the art network of SSC’s focused to automotive as it is recognized by all International OEM’s as an expert on exposed panels in both steel as well as aluminum and as the most advanced specialist for advanced high strength steel (AHSS) and very high strength steel (VHSS). This knowhow will serve the Chinese market from 2017. 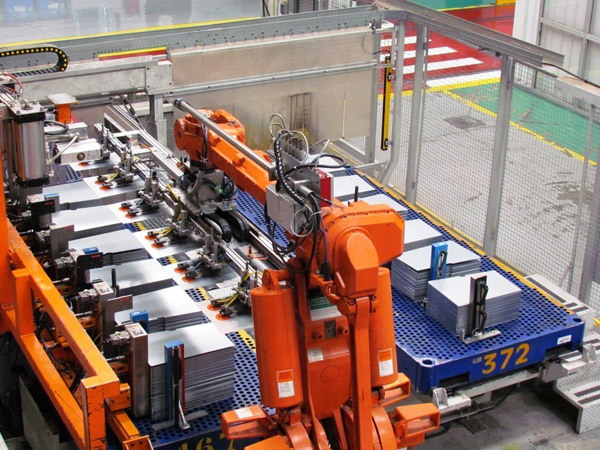 ArcelorMittal has already brought its unique technology to VAMA to produce press hardening automotive steel USIBOR and Ductibor®, which are already available on the Chinese market. 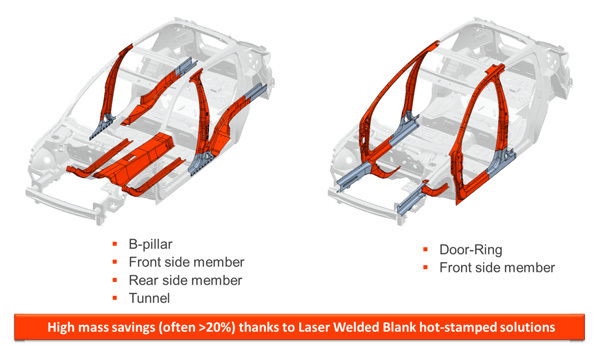 Now, ArcelorMittal is bringing its unique tailored welding technologies, both knowhow and licenses via AMTB. 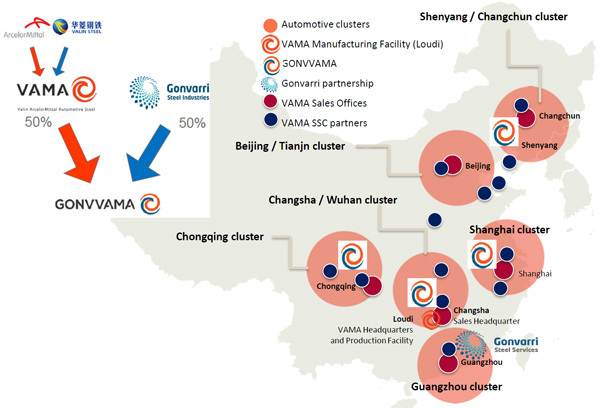 The headquarter of GONVVAMA is located in Changshu (Jiangsu province) and 4 Advanced Technologies and Solutions Centers will be established in Shenyang, Changshu, Chongqing and Loudi, covering the major automotive clusters in China. As a downstream solution provider for automotive steel, GONVVAMA will be integrated within the supply chain of VAMA as one channel to the clients, specialized in monolithic and laser welded parts in steel for hot-stamping applications (USIBOR/Ductibor®), VHSS/AHSS and exposed panels. As a benefit from ArcelorMittal, revolutionary new concepts, such as door rings, will be introduced to customers by GONVVAMA. These new concepts are today booming in EU and US markets. These proven solutions are not only improving the safety of the passengers, but are also playing an important role in the reduction of the weight of the body in white and of the total assembly costs. ArcelorMittal will also share its expertise to the OEMs thanks to its R&D support. 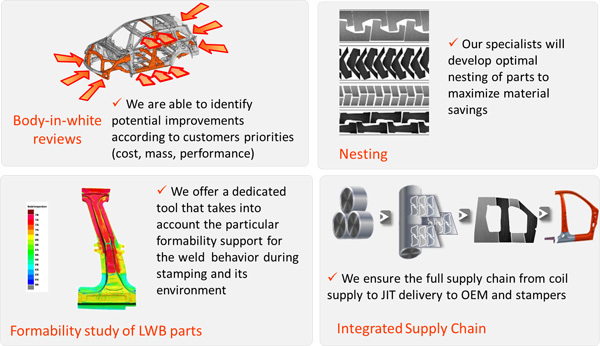 Tailor made solutions and applications of body-in-white reviews, nesting, formability study of LWB parts and integrated supply chain will be implemented to help the customers to improve production efficiency and product performance. The exclusive advanced processing technology, the hot stamped LWB, will be introduced to customers by GONVVAMA as it efficiently contribute to weight reduction and part consolidation with material cost reduced, part performance improved and limited impact to manufacturing process.